Established in 2012, by owner Jimmy Nafso, AirTime Trampoline & Game Park quickly grew in popularity with its wall-to-wall trampolines and overall enticing environment. 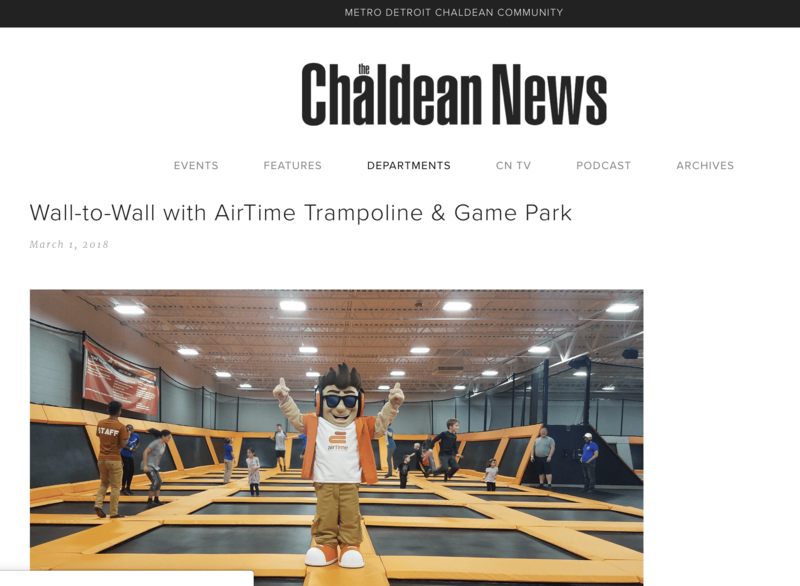 Since its inception, AirTime Trampoline & Game Park has grown in size, boasting six locations across the metro Detroit area, including Troy, Sterling Heights, Westland, Novi, Grand Rapids and Ann Arbor, which recently opened in the Fall of 2017. It has been nearly six years since AirTime Trampoline & Game Parks first opened their doors; they now proudly carry the title of “number one trampoline park in Michigan.” AirTime Trampoline & Game Park is an international franchise. Their journey started with their first location in Troy and now, after merely five years, AirtTime Trampoline & Game Park is now franchising globally.